A man who pulled a gun on two Vallejo police officers was not trying to hurt them, but wanted to commit suicide by police, his mother insisted. The woman said her son, Adam Powell, is a devastated father who couldn't bear to live after his 2-year-old son Adonis got a hold of his gun two weeks ago and accidentally shot himself in the neck. 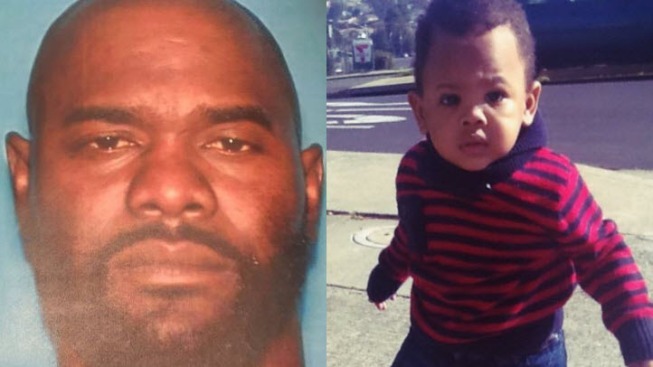 “The whole world needs to understand he loves his two children and this little boy very much,” said Powell’s mother, who requested to remain anonymous. She said Powell, a convicted felon who has served time for robbery, had left his gun on the bed while he went to the bathroom, but didn't realize his son had come upstairs. “He's thinking the little boy is actually dead and he's thinking he's going to kill himself because he tells the friend he's going to do that,” his mother said. Hours later, police said Powell, clad in body armor, came into a Vallejo Starbucks carrying an assault rifle, a 70-round magazine, and a loaded pistol. He pointed the rifle at two officers on a coffee break, prompting them to chase and shoot at him as they say he was trying to unjam the gun while on the run. Police believe the attack was a “premeditated ambush,” but Powell’s mother says they have it wrong. The woman has been at her grandson's hospital bedside since the shootings happened. Adonis is in stable condition now, but still unable to walk or talk. “They're doing MRIs and everything they can,” she said. Doctors will help him through rehab to determine the full extent of his injuries because “at this point no one knows,” she said. Adam Powell has been in in critical condition, with a bullet lodged near his spine, but his mother says nobody's been allowed to see him. She hasn’t been updated on his condition and doesn't even know if Powell knows his son survived.